A pioneering book that helped spark the CSA farm movement in the United States has now been published in a German-language edition. 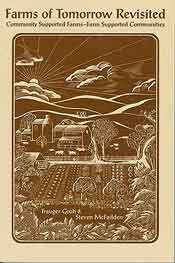 Farms of Tomorrow, the first book on Community Supported Agriculture (CSA), authored by Trauger Groh and Steven McFadden back in 1989-90 when they were neighbors in New Hampshire, has just been published in a German translation, Hofe der Zukunft. 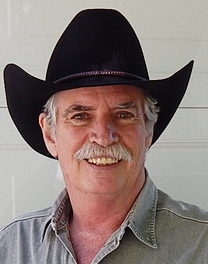 Journalist McFadden, a resident of Lincoln, Nebraska for the last several years, is the author of 12 other nonfiction titles including Profiles in Wisdom, and The Call of the Land. The various editions of the farm book he co-authored with farmer and philosopher Trauger Groh have helped to catalyze the development of CSA in America. CSAs are farms and food distribution systems that directly unite farmers and consumers in an agrarian relationship for the health of people and planet. Consumer households invest in shares of a farm’s harvest in advance, and the farm reciprocates with weekly supplies of fresh, clean locally grown food. By now there are well over 8,500 CSAs in the USA, and many thousands more in other nations, including Canada, France, Australia, Israel, and China. The steady growth and development of these new farms in the USA has come through an era beginning in the 1980s when traditional family farms have continued to decline for a host of reasons, and to be swallowed by increasingly larger operations. Farms of Tomorrow was published by the Biodynamic Farming and Gardening Association in English since 1990; the 2nd edition of the book, Farms of Tomorrow Revisited was published in 1998, with many new chapters including one by Marcie Ostrom on CSA coalitions. The book has also been published in Japanese, and Russian translations. Now, nearly a quarter century after the CSA farm book first came out, it’s available in a handsome new German translation, Hofe der Zukunft. German farmer and scholar Wolfgang Stranz worked for over a year to translate Farms of Tomorrow, and to write a special new chapter for readers in Germany and Austria. As Resurgence Magazine noted in a review, “it is rare to come across any practical farming guide that sets out, from its inception, a set of principles that embrace social, spiritual, and economic concerns on completely equal terms. The wisdom and clarity of philosophy are striking throughout.” CSA is a dynamic movement at the heart of agricultural renewal. 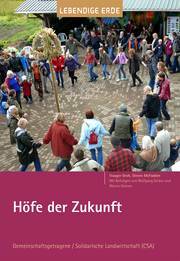 The German-language edition of the book, Hofe der Zukunft, is available here. 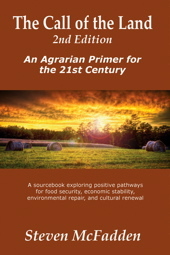 The English-language edition of Farms of Tomorrow Revisited, published by the Biodynamic Association, is available on Amazon.com and through Steiner Books.